Sunshine can be your best friend or your worst enemy. Getting your dose of vitamin D is crucial, but if you’ve gotten a little more than your fill, these sunburn remedies can help. Sunburns may be caused by either too much sun exposure or too much ultraviolet (UV) exposure from a tanning bed. If you have light skin, eyes, or hair, or freckles, your risk for sunburn is even higher. When you spend too much time out in the sun, your body will trigger your skin to increase its melanin production for protection, which could give you a darker and/or irregular color. (1) Fun fact: Melanin gives color not only to your skin, but your eyes as well! The protective effects of melanin are crushed when you have an excess amount of sun exposure. Your skin cells die, triggering your body to increase blood flow and causing inflammation to the area. Too much time in the sun triggers melanin production in your skin, which gives you that darker color. So if you’ve accidentally spent too much time at the beach, here are a few sunburn remedies to help combat mild, painful sunburns. Note: if you have severe sunburns, especially the type with blisters, make sure to consult with your doctor before trying any of these methods. 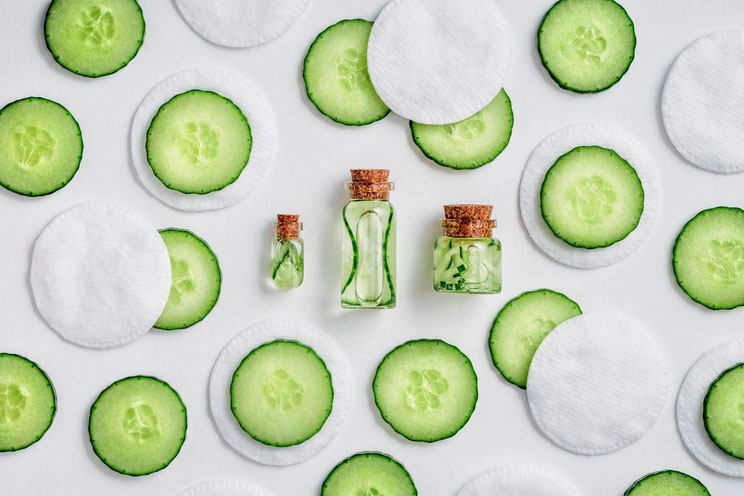 When you think of a spa, do cucumbers over the eyes come to mind? As it turns out, there is some science behind this. If you feel like your skin’s temperature is rising just after getting out of the sun, try taking a cool shower to lower your body temperature. (6) Avoid using freezing cold water, as extreme temperatures are what you are trying to stay away from. Also, make sure that you aren’t stepping into a shower with very high water pressure, as this could be painful to your skin. A gentle lukewarm flow of water is best for relaxation. Be cautious when using products like bath oils or soaps, as these may irritate your skin and make you feel worse. Gently pat yourself dry when you get out and avoid any vigorous rubbing. 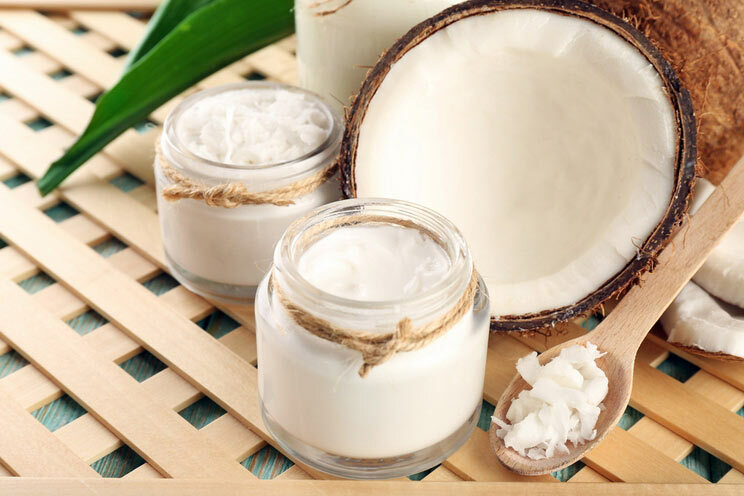 Try immediately moisturizing with coconut oil for a double whammy! Grab a hold of these succulent leaves to relieve some of your pain and redness from sunburn. Inside aloe vera leaves, you will find the clear gel that relieves sunburn, moisturizes and softens the skin, and supports wound healing. 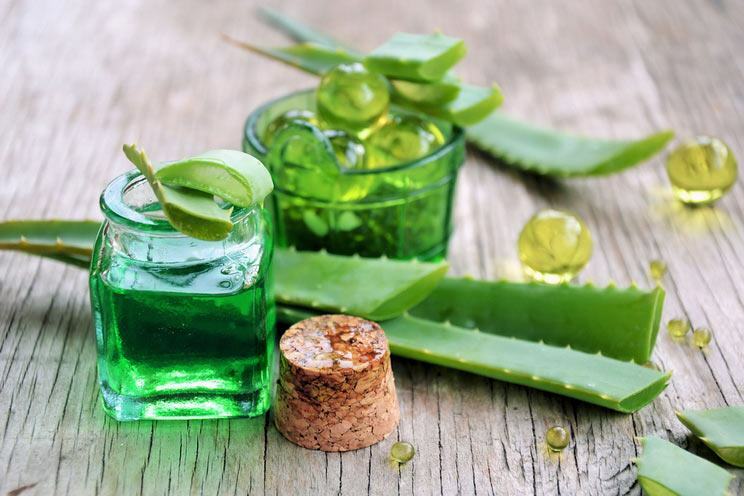 Use natural aloe vera instead of the store bought kind, which is often riddled with unnecessary chemicals and colors. Be aware that many aloe vera gel varieties sold in stores contain additional chemicals, so aloe vera gel straight from the plant works best. Growing aloe vera is actually perfect for those without a green thumb, as it thrives on neglect! 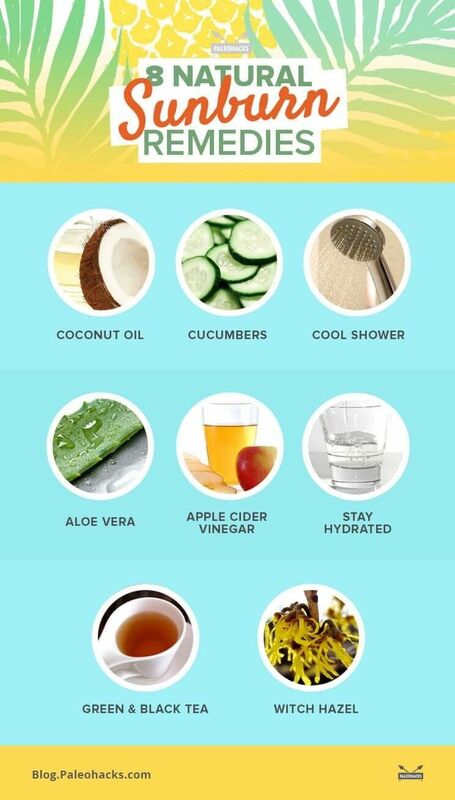 Apple cider vinegar, ACV, has many home remedy uses, and you can add sunburn treatment to the list. Whichever your method, be sure to dilute the solution, as vinegar is an acid and could sting if used on its own. There is no standard ratio of water to vinegar volume, but a 1:1 ratio is a good starting point. Don’t let your body experience a drought. The body is made up of mostly water, and your insides tend to dry out when you experience excessive UV exposure. 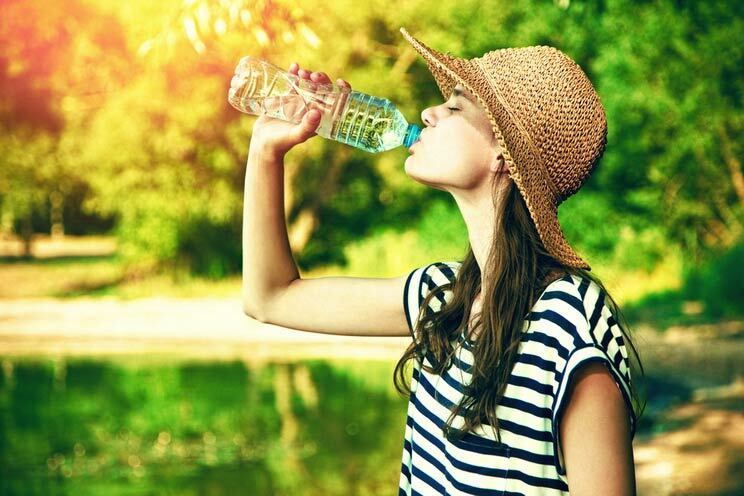 Counterbalance this by drinking enough water to prevent further dehydration, because a sunburn will force water to your skin’s surface and away from your body. 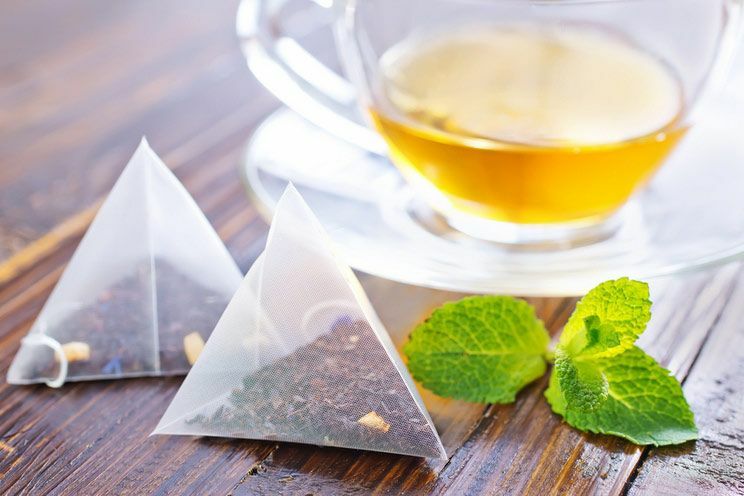 Green and black teas are both full of antioxidants that will defend against free radicals created by excess sun exposure, making for effective sunburn remedies. 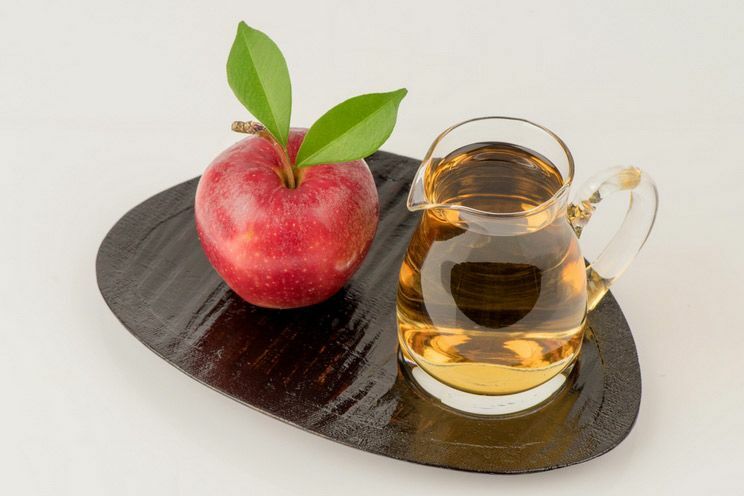 Catechins are another helpful chemical embodied within these teas that help prevent and repair skin damage. Witch hazel is a vibrant yellow plant that was used by Native Americans to reduce inflammation and swelling. By distilling the good witch’s fresh-dried leaves, stems, bark or twigs with water, you can also extract tannic acid, similar to that found in tea. 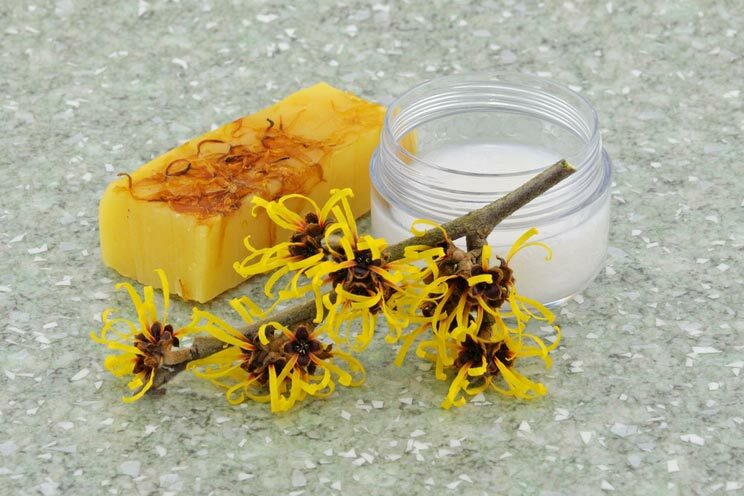 Try applying witch hazel directly to your skin for relief.